We asked opposing coaches to break down the teams in our preseason Top 25. Here's what they had to say. Click here for a complete scouting report of the Buckeyes. Click here for a complete scouting report of the Tigers. They’re as explosive and aggressive on offense as any team in the country. You’re more likely to beat them in a shootout, the way Baylor did last season, than you are to shut them down ... The key—obviously—is slowing down Trevone Boykin. You’ve got to keep him off-balance and put him in predictable situations like second-and-11 and third-and-six. You let him get ahead of the chains with all the weapons he has at his disposal, and good luck, especially with their play-calling creativity ... When you’ve got the ball, you have to be just as aggressive as they are. Gary Patterson’s smart about his 4-2-5 defense, but he has to rebuild this season’s unit, particularly in the back seven. When you get in the red zone, you better score touchdowns because their offense certainly will ... Remember, their last loss was in early October [to Baylor], so they’ve got a ton of momentum. They’ve always played with a lot of energy, and to a certain degree they’re fearless. Click here for a complete scouting report of the Horned Frogs. 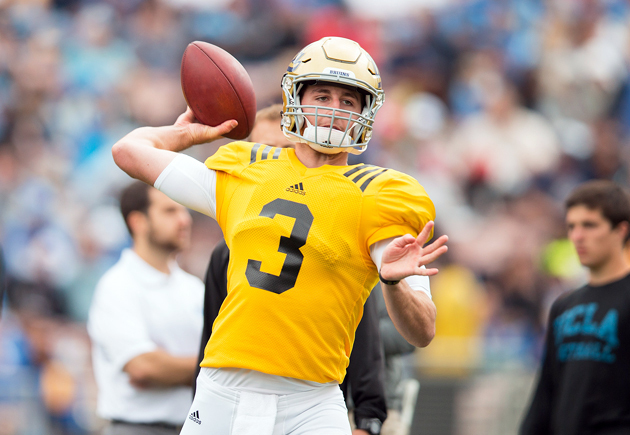 Click here for a complete scouting report of the Fighting Irish. Click here for a complete scouting report of the Crimson Tide. Most teams don’t have the secondary to keep up with them, so the key is to not give them a lot of space. Teams that have had success against them have been able to disrupt their receivers’ timing at the line of scrimmage and pressure the quarterback ... They do a lot of passing off a run game that is very difficult to defend, especially when you’re trying to slow it down with a minimum number of people in the box ... When you attack their defense with the run, they’re going to man you up on the corners and dare you to win one-on-one battles over the top, so you better have guys who can do that. It helps to have a running back with some wiggle who can make them miss, too ... If you get into a shootout with them, you better force some turnovers. Click here for a complete scouting report of the Bears. Mark Dantonio is Iceman from Top Gun. He’s precise and doesn’t make many mistakes. They don’t necessarily beat you, you beat yourself because they create so many disadvantages ... Connor Cook has so much poise and accuracy. He’s valuable, but [center]Jack Allenis probably more so because he gets everybody where they need to be. They’re not a huge vertical pass attack except on play-action, but they do that a ton because they run the ball so well ... The departure of [defensive coordinator] Pat Narduzzi will bring new wrinkles, but it’s always been Dantonio’s defense. Shilique Calhoun is one of the best. They play a quarters-type coverage to limit the pass, but with time your quarterback can pick them apart. Not many get that opportunity because their front four is ridiculous. Click here for a complete scouting report of the Spartans. Kessler is probably one of the most underrated players in college football. He throws deep really well and makes great checkdowns. He’s not flashy, but he knows how to manipulate the offense. He might not win the Heisman, but shoot, he’ll win games. He’s a true quarterback. … Sark [Steve Sarkisian] is one of the better coaches in the country at finding weaknesses and exploiting them. Why attack 11 defenders when you can attack one or two? And it doesn’t matter who’s running or catching: If that experienced line gives Kessler time, you’re in trouble. … Defensively, they’ve applied a lot of pressure the last couple of years. So when you’re on offense, it doesn’t matter if you’re athletic; you have to play smashmouth. If you drop back every snap and give them time to come at you, they’re going to cause a lot of problems. Click here for a complete scouting report of the Trojans. They’re so strong on the back end of their defense. They’re not quite as strong as they used to be on the front, especially at the defensive end position, but those back four or five guys are elite. … They go by the principle that the more talented you are, the less you have to do on defense. They’re going to have more talent than 10 of the 12 teams they play every year, so they don’t make it too complicated. … They probably play a little bit more man than other teams we face because they have the guys who can do that. … You’ve got to be able to run the ball, because you’re not going to be able to drive by throwing exclusively. … Their offense got better last year when they moved Cam Erving to center and started Rod Johnson at left tackle, but Erving is gone now. … Their backs are great at breaking tackles. Click here for a complete scouting report of the Seminoles. Pac-12 team superlatives: Who's most improved, underrated, more? It’s crazy that defenses are sitting around right now hoping the next Oregon quarterback is good. Because if he’s just good, not great like Marcus Mariota, it gives teams a chance. … Royce Freeman had a monster freshman season, and it was just a feeler year. … Mark Helfrich is so good at finding what works, and then gashing you. You don’t have time to adjust until the series is over, and the majority of times, they’ve scored. They have so many ways of attacking you; you have to be aware of everyone on the field. … Their pace isn’t so foreign anymore. The teams that beat them get on the board early, find a way to possess the ball and make them play from behind. … We’re going to find out how much of what they did was Mariota and how much was the system. Click here for a complete scouting report of the Ducks. Click here for a complete scouting report of the Bulldogs. Their front four has got speed, and they’re just all over the place. Robert Nkemdiche can be anything from a noseguard to a defensive end—he’s that big and that athletic ... They know how to defend the spread because they see it every day at practice. It’s a unique defense versus the spread. They get that rover safety playing seven yards deep as an addition to the run defense. [Mike Hiltonhas moved there from cornerback.] You’ve got to be a physical cat to play that spot ... If you get on the edge, they’re going to run you down, but if you run downhill on them, you can open things up and move the ball ... Their receivers are tall and rangy, and they come down with a lot of jump balls. If you pack a lot of guys up front to stop the run, they can go deep ... They also use a lot of motion, which forces you to be very disciplined. Click here for a complete scouting report of the Rebels. The thing that stands out with the Bruins is their athleticism and speed across the board. They’re efficient offensively and really balanced, so you don’t get any keys on what they’re going to do in certain situations. They spread you out and make you defend all 11 guys and every inch of the field . . . Paul Perkins is an outstanding back with good vision, and they’ve got some wide receivers that I think are bigger than our defensive linemen . . . Their defense doesn’t allow you a lot of easy throws because the corners come up and press you. You have to try to beat them downfield to keep them honest. Their linebackers cover a lot of ground and close well, so your underneath passing windows are smaller . . . Last year they were effective at changing their front from snap to snap and did a nice job of confusing our guys. Click here for a complete scouting report of the Bruins. The Wildcats are right on the edge of becoming a power. … Anu Solomon has skills. He’s an excellent passer, makes good decisions, gets the ball where it needs to be. For him, the refinement will be what he does to basically own that team. … Nick Wilson is very explosive. He can make cuts and get into creases. It’s a bit of a sixth sense. … Scooby Wright’s drive and desire to dominate—those are the things that stand out most about him.… You don’t see the 3-3-5 defense that much. They try to create some blocking problems. 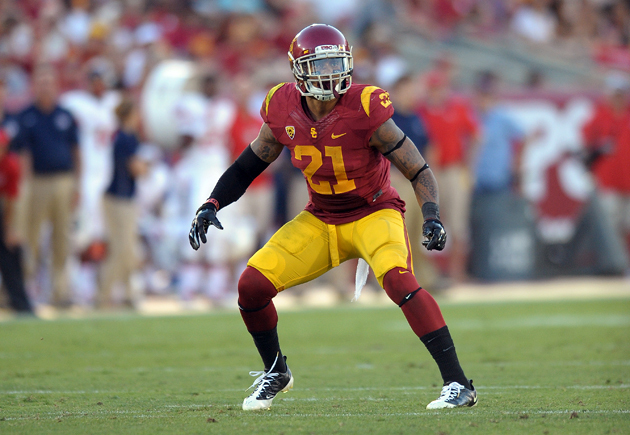 … If they’re going to win the Pac-12, they have to step it up on defense. It’s hard to beat the really good teams by saying, Hey, we’re going to outscore everybody. Click here for a complete scouting report of the Wildcats. On defense, I don’t know if they have a weakness. Their biggest strength has always been their front seven. Running the ball against them is a challenge. Kamalei Correa has developed into probably the best defensive player in the Mountain West, and I’m sure he’s only gotten stronger. … They’re able to disguise coverages extremely well, but they’re a high-risk, high-reward type deal. When you get a chance to crease ’em, you have to take advantage. … It will be interesting to see how things work with a new offensive coordinator and a new quarterback. The running back question isn’t as vital—they have plenty of those. … I would guess they’re going to lean heavily on the run, especially early, until they get their quarterback situation settled. Click here for a complete scouting report of the Broncos. Click here for a complete scouting report of the Sun Devils. Their strength will be at linebacker; expect senior Blake Martinez to blast through the A and B gaps in their 4–3 scheme to disrupt things. … They have to be nervous about losing their whole secondary. There’s talent back there—the defense looked ahead of the offense in the spring game—but not experience. They’ll lack little things, like the ability to tell routes based on the wideouts’ splits. … In past years they had a running back who could fall forward and gain four or five yards on first down. They were always ahead of the game, with second-and-five and then third-and-two. Without that last year, Kevin Hogan couldn’t compensate in second or third-and-long. He just doesn’t have the arm to get them out of those situations. Click here for a complete scouting report of the Cardinal. Game-planning for their offense is totally different. Nothing you do during the course of your season is going to help you. Planning for them can actually put you behind with other teams. ... The biggest thing for them last year was getting a quarterback, Justin Thomas, who could make some plays. Now you’ve got to be able to defend all three phases of the option. ... The way they play, they don’t have to have big guys on the offensive line. They just have to have guys who can position-block. That offense is going to have 12- to 14-play drives. ... The Coastal side of the league isn’t quite as good as the Atlantic, so that’s helped them. They’ve taken advantage of the situation. Click here for a complete scouting report of the Yellow Jackets. 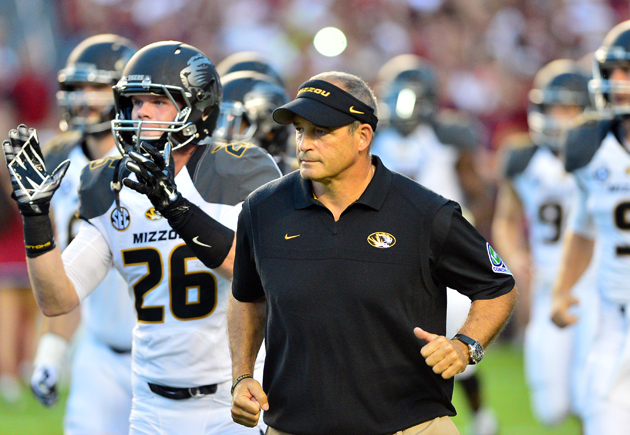 Coach Gary Pinkel and his staff should be getting more credit for their tremendous job of player development. … Maty Mauk is a good quarterback, but he can be streaky. You can’t let him find his rhythm or it’ll be a long day. You’ve got to mix it up on him and make sure you get pressure. If you get him off-balance and thinking, especially with his inexperienced receivers, you’ve got a good chance. … Defensively, they’ll gamble more under new coordinator Barry Odom, but he’ll still turn those guys loose up front, which is what lets them play zone coverage. They’ll need to continue that relentlessness because their ends are so young this year. … With the experience they’ve got at linebacker and on the back end, Odom should be able to roll the dice. Click here for a complete scouting report of the Sooners. of having an identity and not wavering from it, even when the results aren’t there [such as during their 17-game SEC losing streak]. It will be interesting to see, with Dan Enos calling the plays, how they evolve on offense. … Those two backs [Williams and Collins] are as good as any pair in the country. Brandon Allen is solid, and his best receiving threat is [junior tight end] Hunter Henry, who made ridiculous catches and is perfect for their play-action game. They love to get him lost behind the linebackers in space. … The D struggled against Auburn and A&M’s pass games last year; as the season went on, they played faster and more confidently, but they’re not designed to win shootouts. Click here for a complete scouting report of the Razorbacks. They find ways to run the football, and can control the pace and the flow of the game. They’ve been great at developing offensive linemen, and the number of guys who have gone on to the NFL is a reflection of that. … What they’ve done in the running game—with multiple blocking schemes and the use of multiple tight ends—isn’t something you see every week. … I was impressed with their defense overall. We were high on a couple of the guys in the secondary. Some of their corners were exceptional coverage guys, especially Sojourn Shelton. … [They’re] very physical up front, very fundamentally sound. They really force you to find ways to move the football. Click here for a complete scouting report of the Badgers.